So you know what else is pretty delicious? 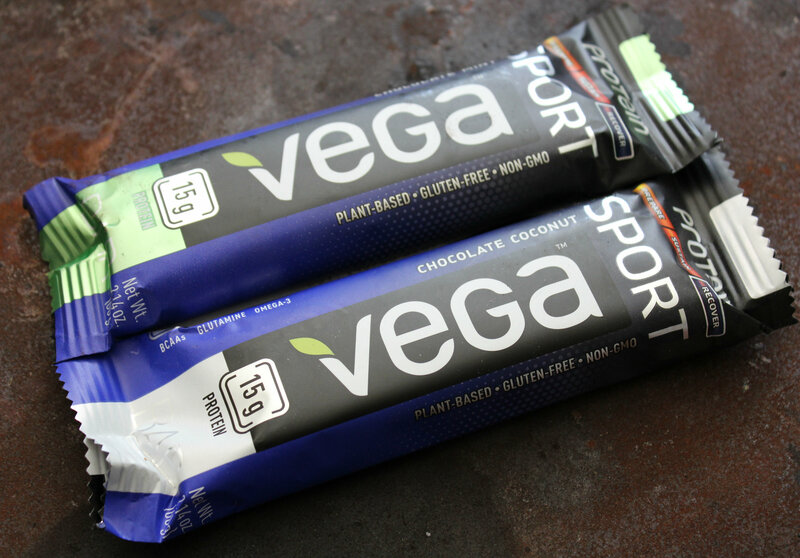 The new reformulated #Vegabars from Vega! You know I have been adding in protein bars and the like to get in an extra dose of calories and fuel. Well I was so glad I got to try these bars! 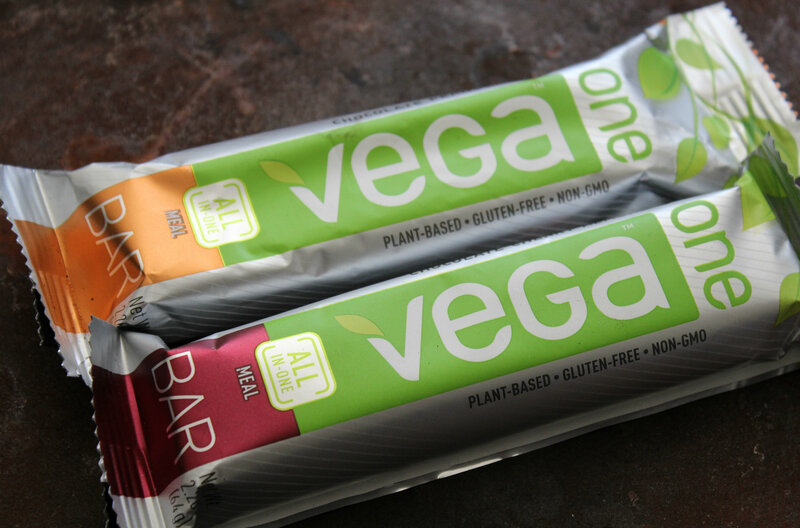 They are all non-gmo, vegan, gluten-free, soy-free, plant-based, and have nothing artificial! I love finding bars that fit all these categorizes! That means I can eat them 🙂 There are 4 types of #VegaBars and each one has a specific purpose. 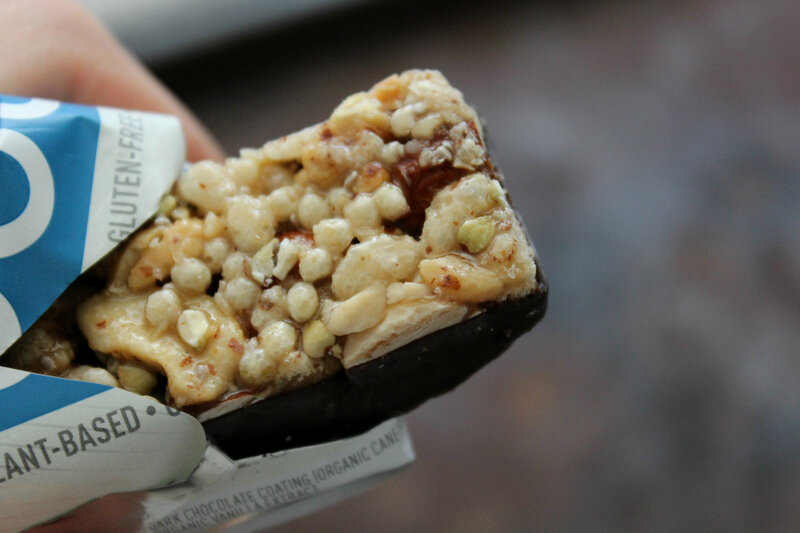 This bar is perfect for when you need a quick breakfast on the go! It is a complete meal…in a bar! It is a nutrition packed power house to fuel you all day with its superfood ingredients and 12g of plant-based protein! 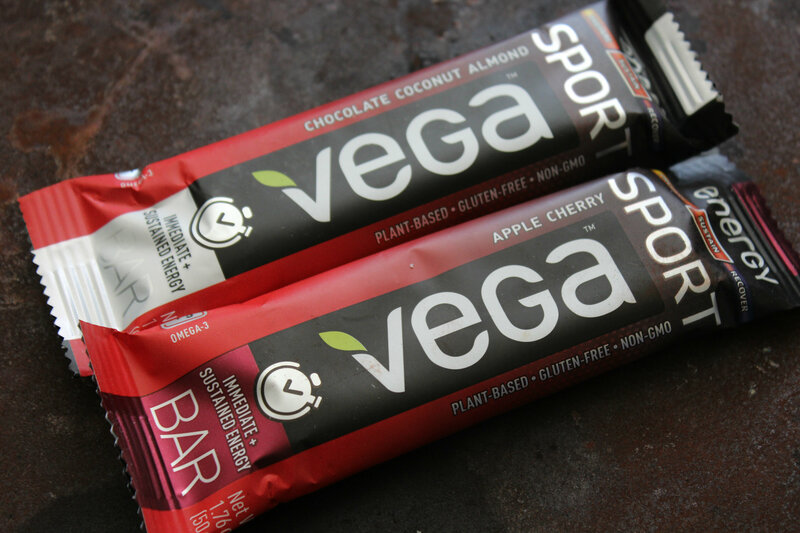 The perfect bar to fuel your workout! 27g of carbs to give your muscles the whole food energy they need to power through those tough workouts! This guy is for after you workout! Post-workout recovery fuel at its finest! 15g of plant-based protein, 2.5g of BCCAs, and 2g of glutamine for optimal muscle recovery. I loved the flavor of the chocolate mint! It was a but to “candy bar” for me, but chocolate and mint it a great combo, just a bit to rich! So this was the perfect bar for me! It has exactly what I was looking for and tasted so good! I received the Dark Chocolate Mixed Nuts & Sea Salt bar as well as the Cranberry Almond. You know I dove in to the dark chocolate one first. And my goodness. It was amazing! It was one of those foods that really surprises you. It looked like a normal gluten filled non-vegan unhealthy snack bar when I opened it…but no. It was so much more! It was amazing that it could taste so good and meet all my requirements! Full of superfoods, nutrition, and deliciousness. This one totally my favorite one of the whole bunch. 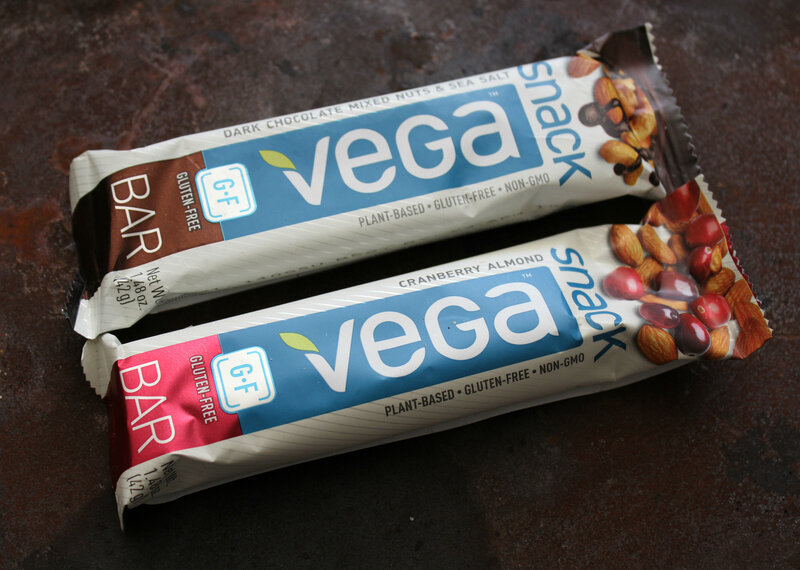 Now I just need to get my grocery store to start selling Vega products ASAP! Just admire the goodness! I really need to get more of these! They were perfectly sweet too! Not too much, which I can’t handle, just the perfect amount that didn’t leave me feeling sick and sweeted-out like most bars do. 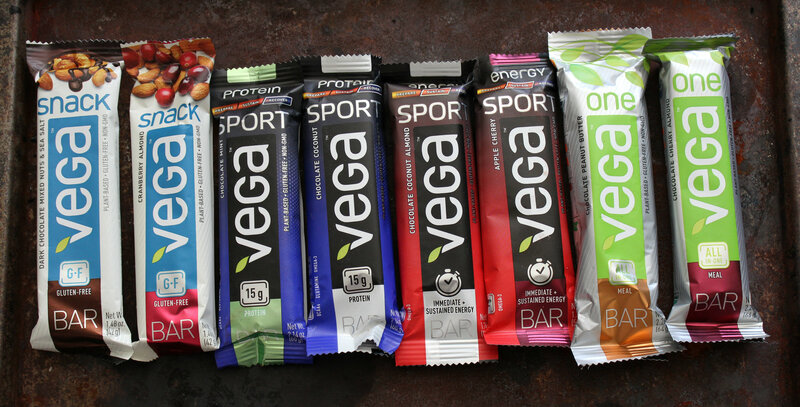 + Have you ever tried any of the #VegaBars? Have a great weekend and I will see you all back here on Monday for my Celiac Awareness Challenge! Get pumped!